Hello Friends and Wizards! My name is Stonewick, and I hope this Museletter finds you well. The subject of this short essay is Teaching. At some point, most, (if not all) of us, have taught a simple trick to a young relative, or maybe even taught magic in a more formal and structured setting. When we do this, we become The Sage. 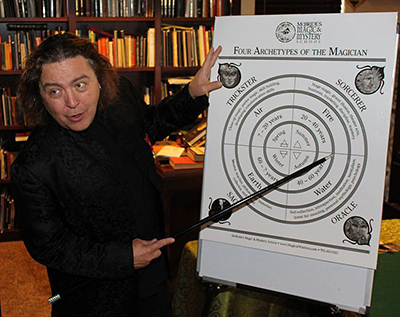 Jeff McBride often refers to the Four Archetypes of the Magician – The Trickster, The Sorcerer, The Oracle and The Sage. The Sage is many things: Philosopher, Writer, Historian, Collector and Enthusiast. But the Sage is perhaps, most importantly, a mentor and a teacher. Think Eugene Burger or René Lavand, for example. 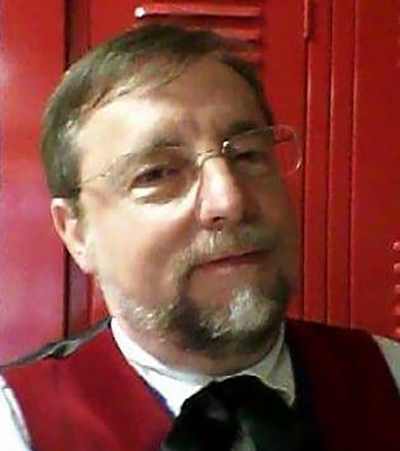 I have been a public high school teacher for 20 years. I also sponsor an after-school magic club, so I am in the role of teacher every day, and magic mentor every Tuesday afternoon. As such, I would like to take this opportunity to share some of the things I have learned from my time as a high school teacher and magic mentor. It is my hope that the following ten points will be helpful to all of us in that role of mentor or teacher. Welcoming attitude: New students are often nervous. They have thousands of questions. Not the least of which is,” Am I up for this?” Or, “Am I going to look like a fool?” By welcoming our students warmly, we put them at ease and help them to get off to a good start. Meet students where they are: Sometimes it’s hard to remember that our students have not yet crossed the same rivers we have. They are inexperienced in some areas, and may even be a little immature in others. That’s okay. It’s important to keep in mind that just because we may know a concept or technique so well it has become part of our DNA, this same technique or idea may be completely foreign and difficult to the student. Know who they are outside of the learning environment: Having awareness of a student’s home life and other interests can really help us bring out the best in them, on multiple levels. Recognize strengths and areas for improvement: It is vitally important to have an understanding of what the student is, and is not ready for. We may have planned a powerful and dazzling lesson, but we must always be flexible, and ready to drop that plan and move over to something more basic. We can always come back to that amazing lesson later. High bar of expectation: If we accept mediocrity, then no one wins, and we have done an unfortunate disservice to our art and profession. Not only that, but we have cheated the student. After all, we promised to make a wizard out of them, and all we have taught the student to do is imitate a puzzle he or she was shown the solution to. No, no! 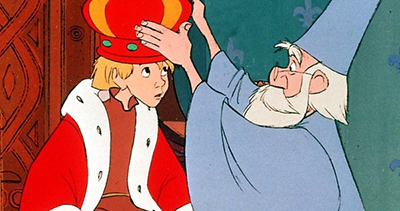 Make it clear that magic is not easy, and the goal is excellence. Start with something that requires little or no technical skill, and teach the student to rock the presentation. Encourage the student to come up with a frame and script that reflects the student’s own interests and passions. Take it seriously: If we approach our task without some degree of seriousness, we run the risk of trivializing the craft. For example, at my school I sponsor an after-school magic club. One day, one of the students brought in a non-member. He said his friend missed the bus and was going to catch a ride with him later. Well, we deal with secrets here. No exposure. So, I insisted his friend find another place to hang out until we were finished. Harsh? Maybe. But it was, as we like to say in the industry, a “teaching moment.” One which I hope they all placed into their back pockets. Unconditional encouragement: Like learning to play an instrument, paint or write poetry, artistic endeavors often seem impossible for a long time. It can be easy to give up on ourselves. We need encouragement. We need to see that someone we know has fought these same battles, and come out on the other side. We also need to know that our teachers will never give up on us. Show passion: Passion is contagious. I love watching Bob Ross paint his amazing landscapes. I don’t paint. So why would I care? I think it’s because watching someone do and share what they love is intrinsically fascinating. When we show passion for what we do, we automatically create interest. Humility: Humility is vitally important for several reasons. Sometimes the best thing a teacher can say is,” I don’t know, but let’s explore that thread and see where it takes us.” “I don’t know” demonstrates the fact that we are never done learning. And it’s a great motivator to learn something new. And this new knowledge makes us better at what we do. Don’t underestimate your influence: When we become teachers or mentors, like it or not, we become influential. What is important to us–how we behave, and how we treat others–will in some way be reflected in the lives of our students. We may not imagine that we are a big deal, but we are! One more point I’d like to make. As we all know, magic is often a solitary enterprise. Eugene Burger tells us,” In the deepest sense, a student must learn to be his or her own teacher”. So, when we are struggling with that classic pass, writing our scripts or trying to stay focused on the thousand finer points of theatrical presentation, it’s good to remind ourselves that performing magic well is really hard! Let’s not neglect to be nice to ourselves. Let’s promise to be patient with, and encourage ourselves. Let’s not forget to be our own good teachers!